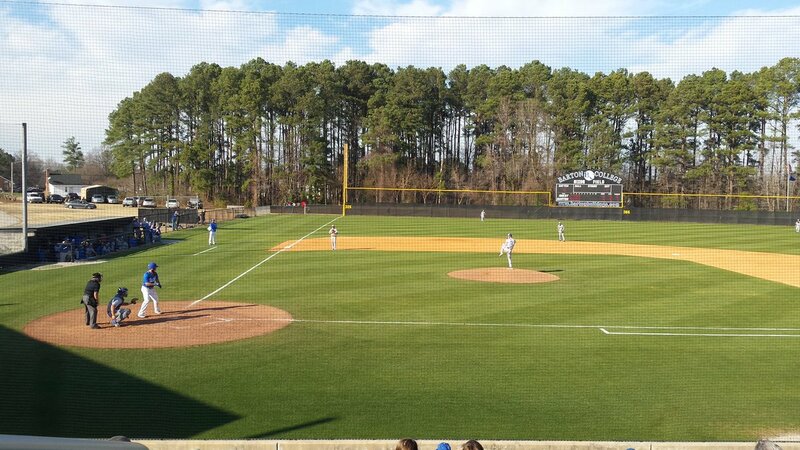 Nixon Field is the home diamond of the Barton baseball program. Named in honor of Dr. William P. Nixon, Jr. - an alumnus of Atlantic Christian College and a trustee of Barton College - and his family, the facility is an award-winning playing surface. Dr. Nixon is the father of four, including Trot Nixon of Boston Red Sox fame. The American Baseball Coaches Association and Turface Athletics presented Nixon Field the 2005 Field Maintenance Award for outstanding efforts in maximizing athletic performance and safety for a baseball facility. Nixon Field receives regular upgrades and features the Scott Davis Field House, numerous bleachers and chair back seats.